Remember the 50 million Swedish kronor art pieces motorists will soon be able to enjoy while stuck in traffic on Norra länken? 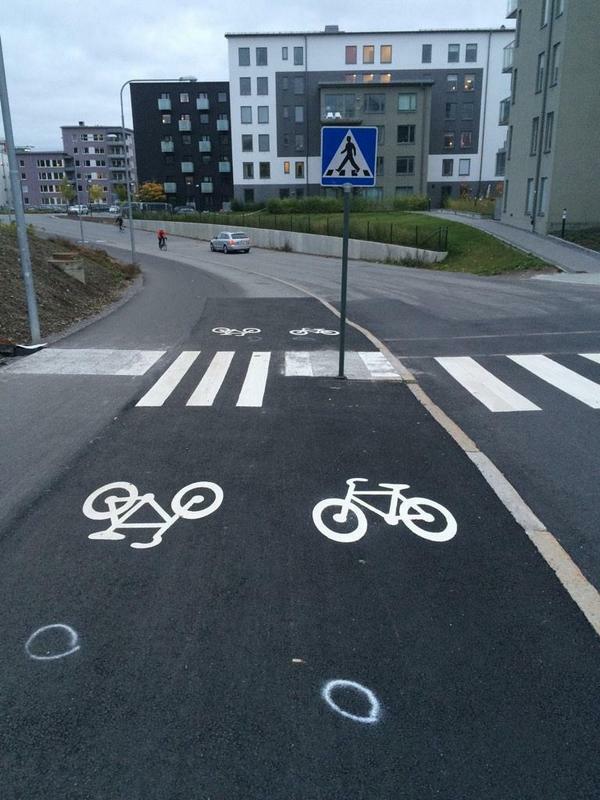 Well it looks like cyclists have not been forgotten and bicycle lanes are getting their share of fine arts too. Or is it art? Stockholm’s population is among the fastest growing among European cities1 and the city is undergoing a major facelift to accommodate the crowd (or some of it at least): apartment buildings are popping up all over, roads are widen and resurfaced, … You would think the best way to transport those people with no or little change to the infrastructure would be to get them on bicycles as often and safely as possible but you would be wrong. 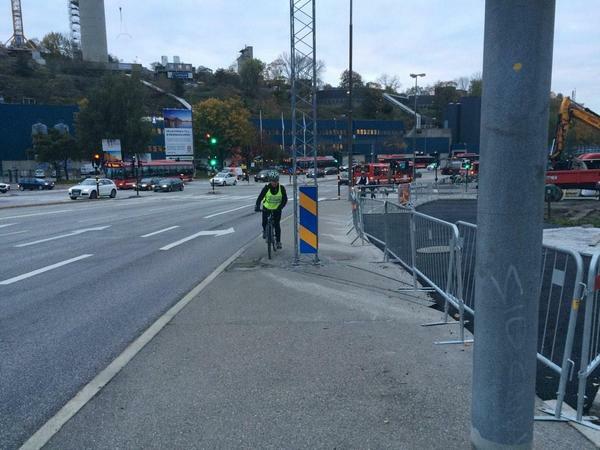 Bicycle lanes have been used for lots of things lately – as temporary (we’re talking months here) bus stops, as parking space for trucks or just as some place to put signs up – and cycling through Stockholm has become quite painful and dangerous. Maybe I’m just narrow-minded and a safe and easy ride to and from work is too much to ask. Maybe I’m just not ready for all this art thing. What about you? Cycling in Stockholm? Enjoying the exhibition? Here’s a short selection of bike lane art. Enjoy. The walking cyclist, Cycling around the North Pole , The wall ride, Bike the bikes & The cycling bus stop.